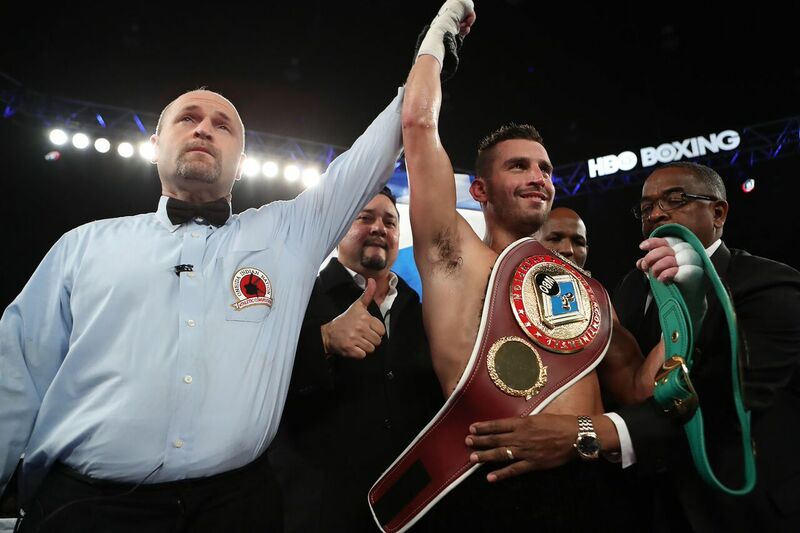 Less than two months after delivering the top knockout of 2017, Canadian knockout artist David Lemieux (37-3, 33 KOs) will return in a 10-round fight against Marco “Dorado” Reyes (34-4, 25 KOs) as the chief support to the battle between Canelo Álvarez and Julio Cesar Chávez, Jr. on Saturday, May 6. Opening up the stacked Cinco de Mayo weekend card at T-Mobile Arena in Las Vegas, former U.S. Olympian and current undefeated NABF Featherweight champion Joseph “JoJo” Diaz, Jr. (23-0, 13 KOs) will face perhaps his toughest challenge to date when he defends his title against the undefeated Manuel “Tino” Avila (22-0, 8 KOs) in a 10-round battle. These two fights along with the main event and the previously announced brawl between Argentinian slugger Lucas “La Maquina” Matthysse (37-4, 34 KOs) and Emmanuel “Tranzformer” Taylor (20-4, 14 KOs) will round out the pay-per-view telecast on Saturday May 6. The hard-hitting Lemieux is riding a three-fight winning streak and was last seen delivering a thunderous third-round knockout of the highly touted Curtis “Cerebral Assassin” Stevens that has put the Canadian directly back into the title picture. Reyes, a 29-year-old former WBC FECOMBOX middleweight champion, has knocked out 25 opponents and went toe-to-toe with Chavez, Jr., in a unanimous decision defeat that many spectators had closer than what came up on the scorecards. In the opening battle of the HBO Pay-Per-View telecast, two undefeated fighters will go toe-to-toe with both Joseph Diaz, Jr. and Manuel Avila risking their undefeated records for a chance at greater glory. Preliminary bouts for the May 6 show will be announced in the coming weeks.